Back pain is one of the most common reasons why people see a doctor or even miss work or school. Back pain does not discriminate – it affects people of all ages and both genders. A hurting back can be the result of lifting heavy objects or simply improper posture. In some cases, it may also result from a fall that may have been considered inconsequential. Our back supports the upper body, the spinal column, and our everyday mobility. The bones and discs in the spinal column also protect the spinal cord, which hosts the body’s nerve center. This is responsible for transmitting messages from the various parts of the body to the brain. Back pain may be due to improper posture or a stressful day at work. 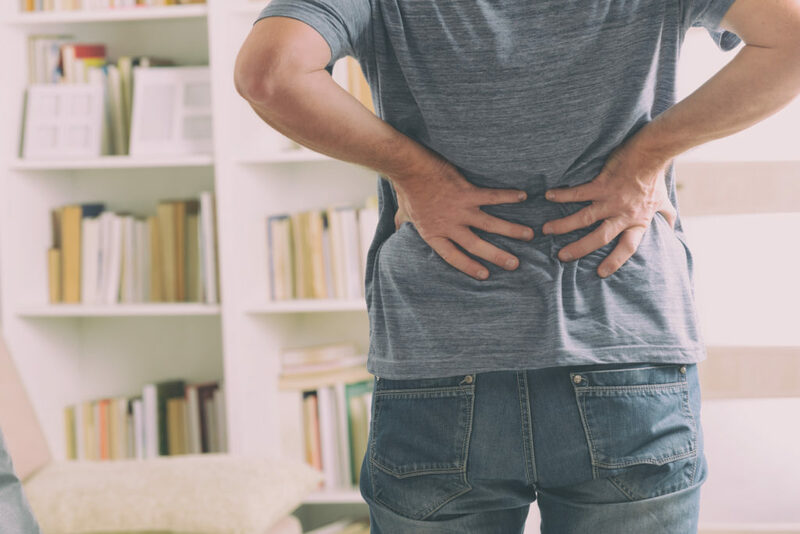 But if the pain is a burning or stinging pain, or if it extends from one spot on your back and down one of your legs, it may be a symptom of a dislocated or herniated disc. Also, if you had a hard fall or if you accidentally hit or struck your back against something, a visit to the doctor is a must. It is better to get quickly evaluated and treated than for an injury to get worse and potentially become debilitating. A sudden feeling of numbness in the back, including in the arm or down the legs, may be due to nerve damage or inflammation in the spine. Unusual weakness in the arms often indicates a problem in the nerve roots of the spinal cord. If you experience any of these symptoms along with numbness in one or both legs, it should be treated as an emergency. A problem with the spinal cord nerve roots is irreversible if left untreated, so immediate treatment is the key to thwarting any further damage. Back issues are often accompanied by fever or chills. Fever may signal an infection, which requires treatment as quickly as possible. No matter how mild lower back pain may be, if it is coupled with chills or a feverish feeling, it deserves medical attention before it becomes worse. This pain may also be accompanied by unexpected and abrupt weight loss. If you live in the Dover area in New Jersey, visit the professionals at Orthopedic Associates of West Jersey. Our well-trained physicians and surgeons are happy to provide you with the best remedy to relieve your back pain and other symptoms. Call us today at (973) 989-0888, or schedule an appointment online. We look forward to helping you enjoy a more pain-free lifestyle once again.